How Much Should I Spend On a PPC Budget on Google Adwords? PPC or Pay per Click Advertising is an internet marketing service that many of the major search engines, like Google, offer. Advertisers can place ads that will appear based on certain search criteria. PPC works through a bid system. Several advertisers may want their ad to appear when a user searches for a particular term. Who ever has bid the highest will have their ad shown. It follows that the more your ad appears the more visibility you will receive. For this reason, it is important to have an adequate budget for your PPC advertising. 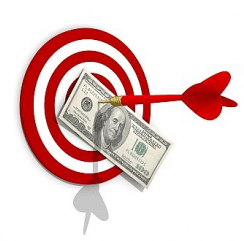 The ability to monitor your advertising budget on a daily basis. As you determine what is working and what isn’t, you can adjust your budgets, keywords and other factors to suit your needs. The ability to target specific keywords. Targeted keywords yield targeted searchers who are looking for exactly the products and services associated with the targeted keyword(s). The ability to pay only for successful marketing. Under PPC, you only pay a fee when a user clicks on your ad. In this way, you only pay for searchers who not only see your ad, but also click your ad because the Adtext itself is seen as relevant and of sufficient interest to investigate further. Assume a minimum Cost per Click of $1.00; if your budget is $500, you basically will get 500 clicks and landing page visits over a period of one month. Assume that you will get just a modest 5% Conversion Rate. This translates to at total of 25 leads or sales. Depending on your pricing or services, you can expect anywhere from 0.5 to 10 percent conversion rates. Now take your sales price and your profit margin and do some basic math. What is your ROI at 1 sale? This illustrates how / why your budget for advertising needs to be sufficient to generate enough clicks and traffic to generate enough sales and gross profit to justify the expense. Because PPC is generally bid based, it can take time and effort to determine how much you should be bidding. Most PPC companies will do this ‘testing’ for you. You will then be able to set a daily budget for your campaign. This number can range greatly, depending on the niche and keywords your business centers around. Determining your PPC budget can be an entirely subjective matter. However with keyword research, testing, targeting techniques, excellent Ad Copy and converting landing page you can make the longer term budget as objective as possible because it will be based on live stats. It is important to take the time to research the process, keywords and targeted audience in order to determine an adequate budget. Pay per Click advertising can be one of the most cost effective methods for advertising your business. However, full use of the processes and the tools are essential to generate meaningful ROI. Businesses of all sizes rarely have staff expertise to fully execute consistently successful PPC campaigns. Outsourcing PPC to a seasoned Internet Marketing Company, with an “Adwords Qualified Company” Google Certification like Optimum7, is generally the best avenue towards achieving the necessary metrics for optimum ROI. The management fees are clearly justified merely through the savings that come from the processes that quickly focus on the most productive elements while weeding out the least productive elements. Contact us to discuss your PPC objectives.